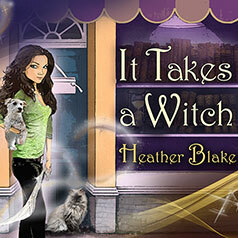 witches with the power to grant wishes using spells—Darcy Merriweather finds herself in the middle of a murder investigation. Until three weeks ago, Darcy and Harper were working dead-end jobs and trying to put their troubles behind them. Then their aunt Velma delivered a bombshell: They're actually Wishcrafters—witches with the power to grant wishes with a mere spell. Wanting a fresh start, they head to their aunt's magic-themed tourist town to master their newfound skills.